So you’re headed off to the nation’s capital for a little Christmas fun? Or maybe you’re lucky enough to live here! 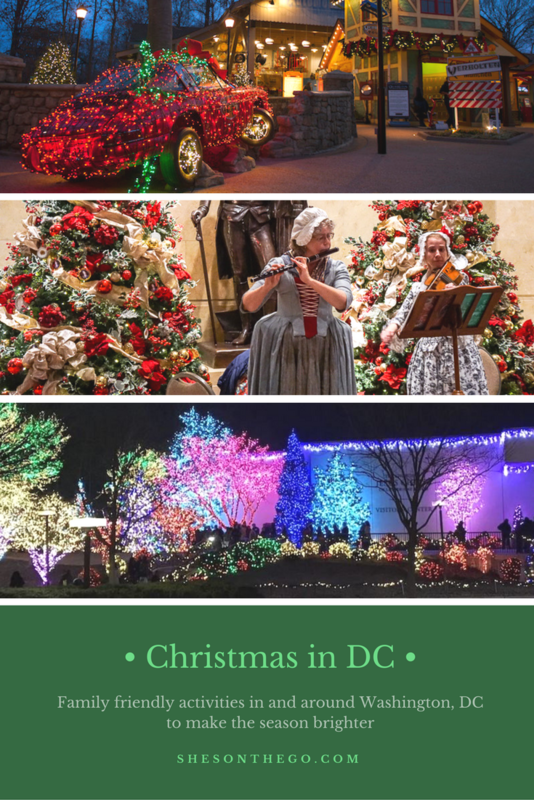 Either way, there are plenty of things to do in the Washington, DC area to get you in the holiday spirit but our first recommendation is to get a car. Although DC has a great subway system (called the Metro), it’s not always the most convenient or reliable. 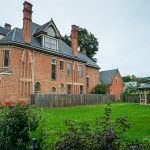 And since DC isn’t as compact as other cities out there, you’ll find a lot of the best activities are within a short or reasonable driving distance of the DC metro area. 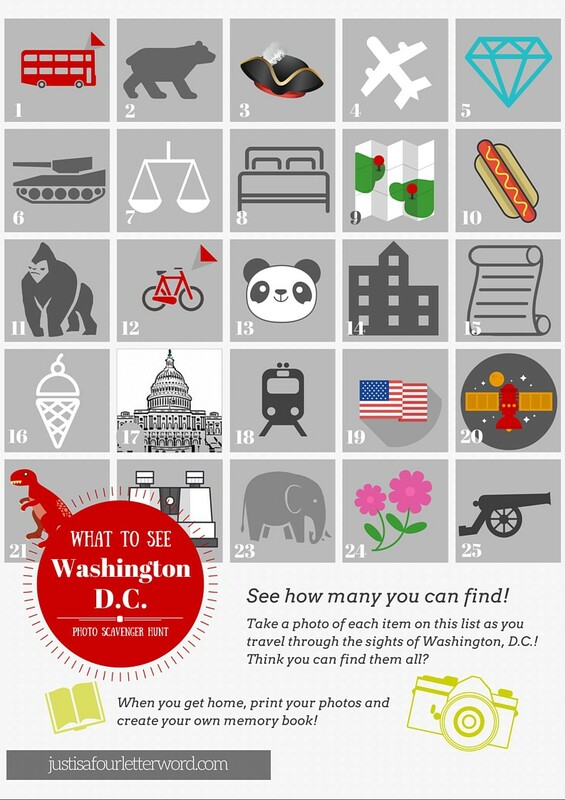 Here are just a few of our favorite holiday attractions in and around Washington, DC. Although Mount Vernon is a beautifully maintained private estate anytime of year, Christmas at Mount Vernon brings the history of the home to life in this riverside setting in northern Virginia, just outside DC. If you time your visit right, you can even tour the estate in the evening by candlelight. 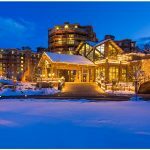 The Gaylord National Harbor is just one of the many Gaylord hotels that hosts the spectacular ICE! show every year. 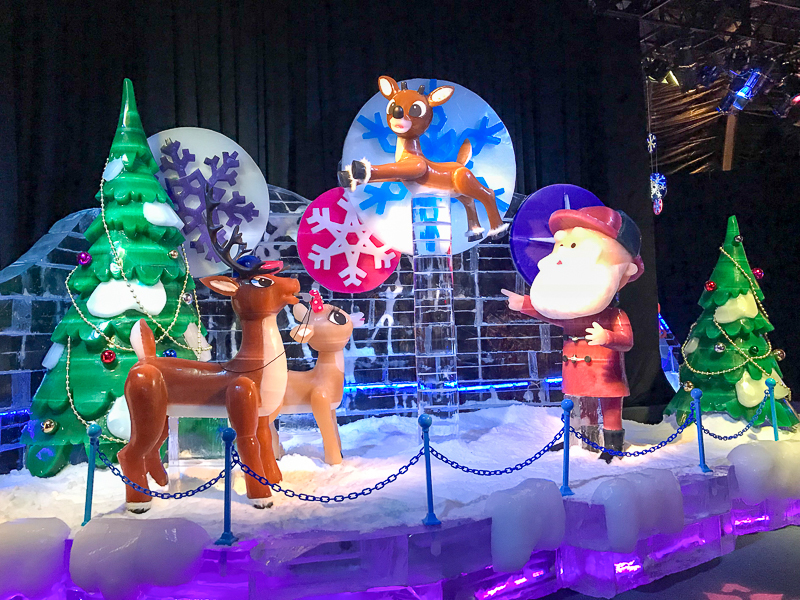 This themed show offers visitors a blue parka so that they can enjoy the ice sculptures created by Chinese artisans in 5 degree temperatures. If you’re not visiting the ICE! show, you can spend family time in the Christmas Village offering rides, shopping, and family activities like gingerbread house decorating. Later in the evening, the Atrium comes to life with the lighting of a suspended Christmas tree and a laser light show set to holiday music. 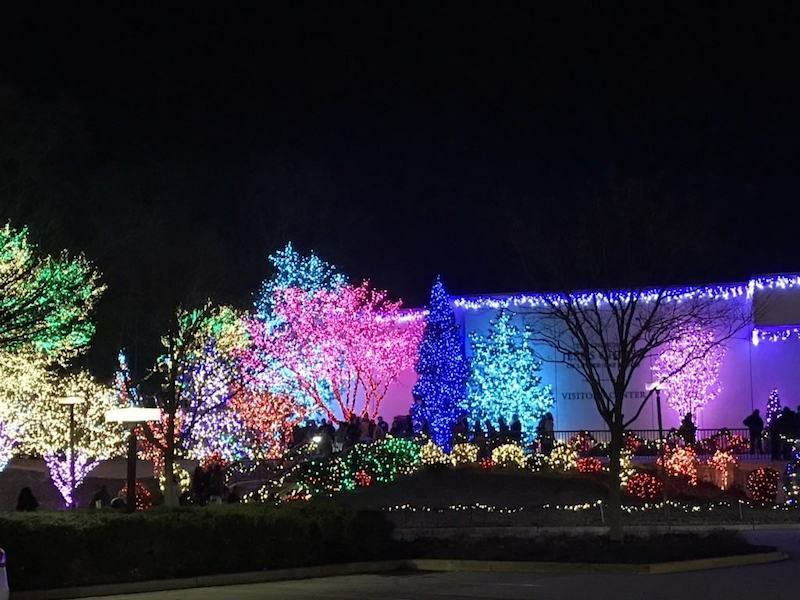 This year marks the 40th anniversary of the Festival of Lights at the Washington D.C. Temple of The Church of Jesus Christ of Latter-day Saints. The Festival of Lights is one of the D.C. area’s great community traditions. 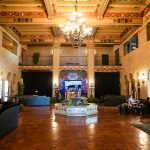 Beginning November 30th, the Festival features free performances nightly in the comfortable, state-of-the-art theater located in the Visitors’ Center, open daily from 10:00 a.m. to 10:00 p.m. Although I’ve never been to see the National Christmas Tree, it’s definitely on my list. Regardless of how you feel politically, it’s worth a trip to the White House where the National Christmas Tree will be lit every day from approximately 4:30 p.m. to midnight as part of the America Celebrates display. This display is free to visit and open to the public from 8:00 a.m.-midnight beginning Friday, December 1. The walkway will be surrounding the National Christmas Tree and features 56 state and territory trees decorated with handmade ornaments that are unique to each tree. If you’re feeling patriotic and willing to go a little further, you can head to the Civil War town of Gettysburg, PA which is only 90 minutes outside of DC. 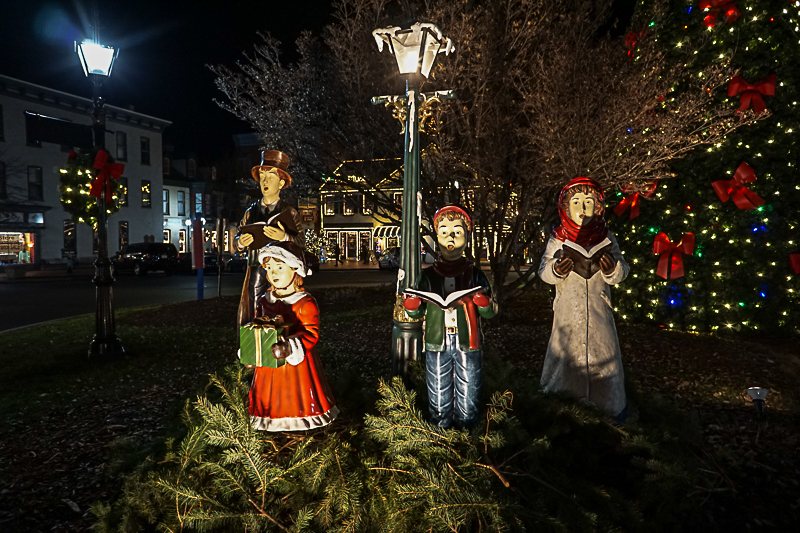 Although the battlefields are always there, December starts a festive spirit in the little town centered around Lincoln Square. 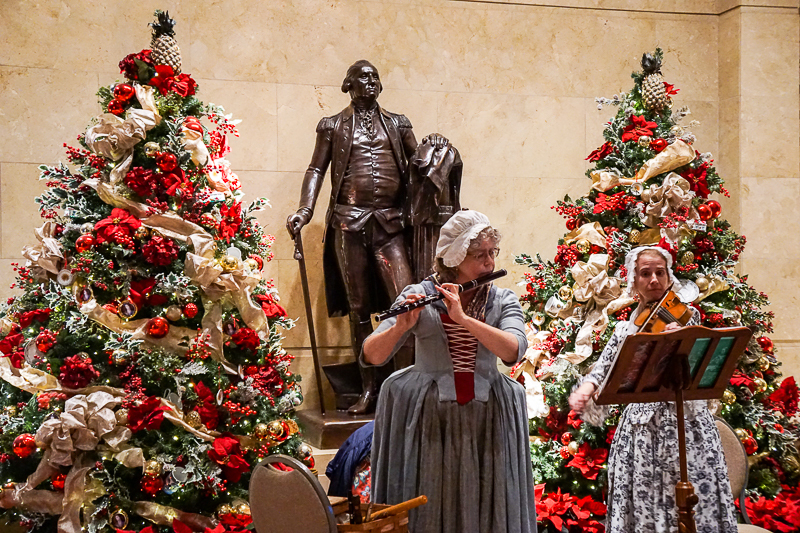 Depending on when you visit, you’ll find a Christmas parade, a Santa Shanty (free visits with Santa), the town Christmas tree, a Tuba Fest, and specialized holiday tours at nearby attractions like the Shriver House Museum and the Eisenhower House. And you’ll find plenty of places for festive food and drink with both historic and modern atmospheres! If you’re willing to venture about three hours outside of DC, you can spend time in Williamsburg, VA. 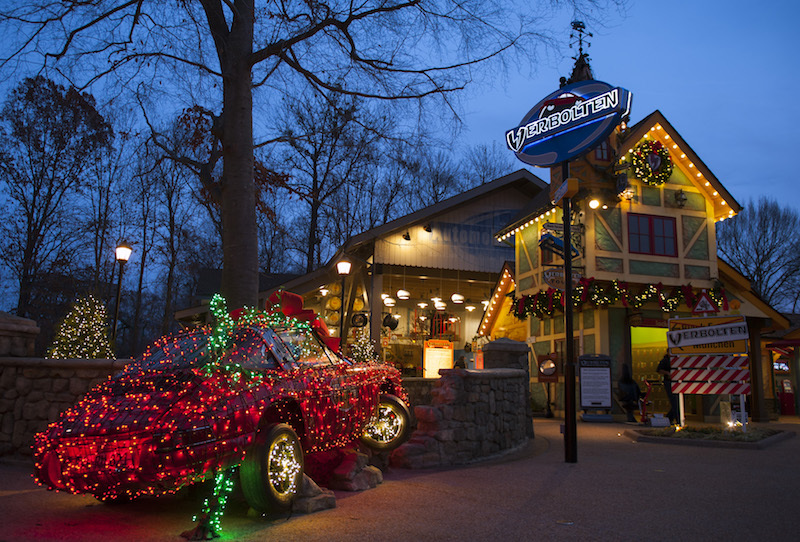 While you’ll find shopping and historical activities at nearby Jamestown and Colonial Williamsburg, the star of the show is Christmas Town at Busch Gardens. Christmas Town at Busch Gardens boasts the biggest Christmas light display in North America with more than 8 million twinkling lights, opening on select days from Nov. 24 through Jan. 1, 2018. Throughout the holiday run, experience holiday shows sure to give you a shiver even on warm nights. Stop by the Mistletoe Marketplace where you can stroll through a traditional German outdoor market complete with local vendors who specialize in art projects. This is where you can find a unique treasure for those picky art lovers on your Christmas list. Brave guests can challenge Verbolten®, Busch Gardens’ thrilling new multi-launch roller coaster at Christmas Town™. Christmas Town transforms the park into a winter wonderland with more than eight million Christmas lights, miles of garland and Christmas decorations as far as the eye can see. ©2016 SeaWorld Parks & Entertainment, Inc. All Rights Reserved. If you want to stay a little closer to DC, you can head to Six Flags America which is less than 40 minutes away. 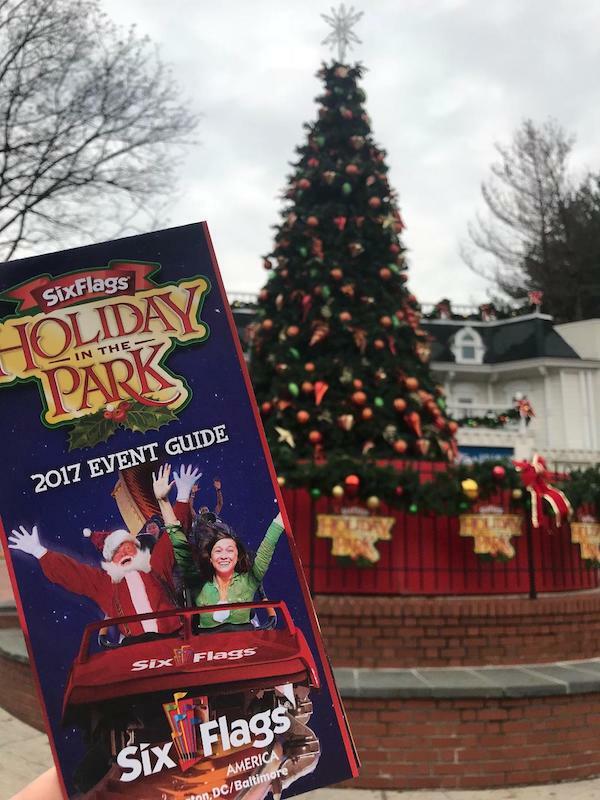 At Six Flags Holiday in the Park, you’ll get a taste of everything you’d expect at an amusement park: the Main Street Christmas tree, Christmas-inspired funnel cakes, s’mores pit, holiday meet & greet, holiday magic light show, and of course, holiday thrills! Several of the rides are open for those that want to feel the wind whipping through their hair! If you just want to spend time taking in the tourist sites and seeing the local decorations, you don’t have to get out and go anywhere in particular! In fact, many families enjoy taking a walking tour of Washington, DC, which is especially beautiful during the holidays. 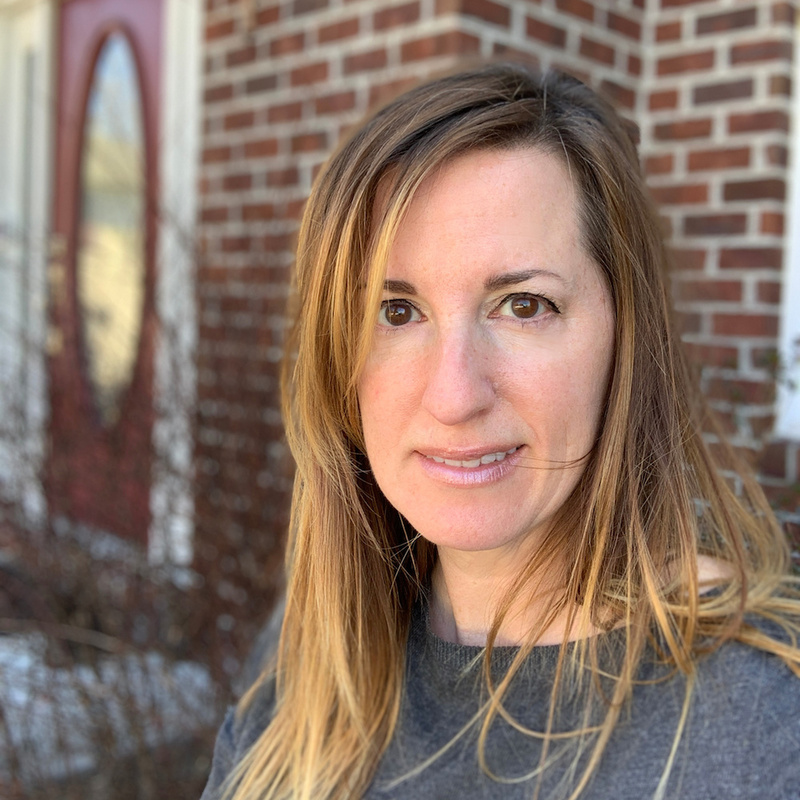 If this is more your speed, you can even get your kids more engaged with a Photo Scavenger Hunt printable. This is actually good anytime of the year! If you live in or have visited the Washington, DC around the holidays, we’d love to hear more about your can’t-miss holiday attractions. We’re always looking to stay on the go!